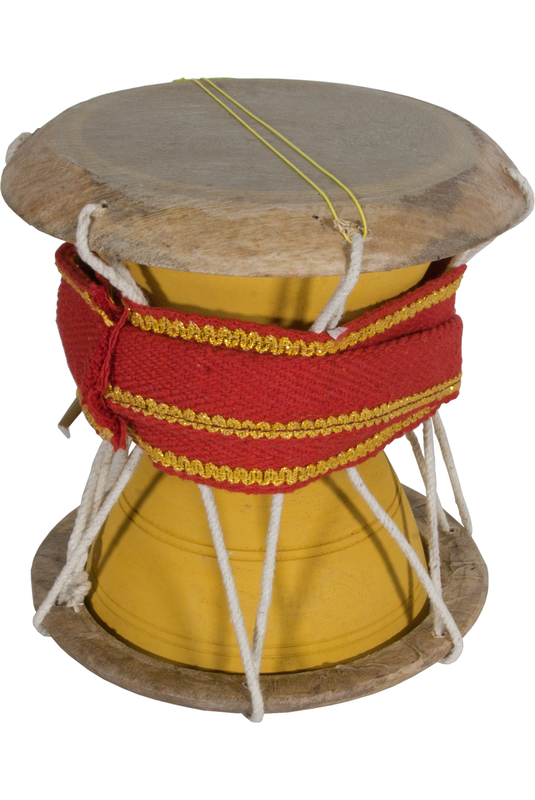 BLEMISHED: banjira 7.5 Inch Udkka Talking Drum 2 Heads BLEMISHED. Udkka, Approximate playing surface 5 inches to 7 1/2 inches , Blemished (UDKA-2) Wooden two-headed "talking" drum. Heads held in place by cords. Held under the arm, squeeze the cords to make the drum talk. Great rhythm instrument, when pressure is applied to the tension ropes the pitch will change. Color, size and decorations may vary.